Fresh, Healthy, Home Made. The best! This place is exactly what I've been looking for while traveling around Thailand. The food is outstanding. I've had the pleasure to eat at Dada Kate 3 times now and every time it's been incredible. I'd highly recommend stopping in if you are in the area. 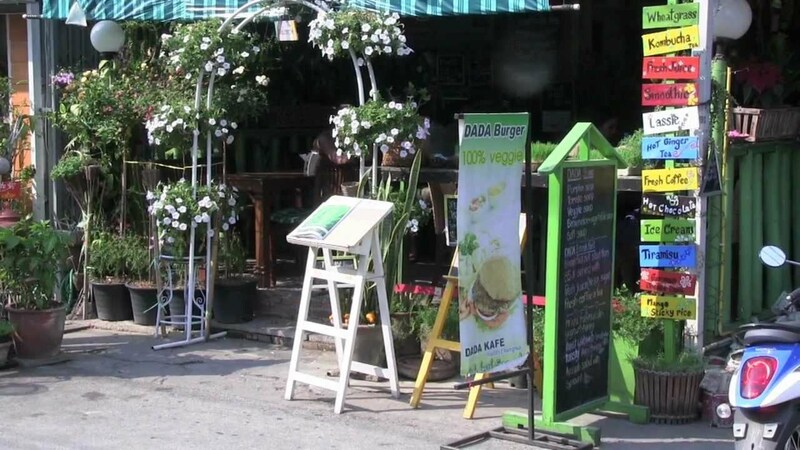 We went here 3 times during our stay in Chiang Mai - enormous offer, great place for vegetarians, amazing smoothies and fresh food - thai food but not only. the best place in old town. Highly recommended! Healthy is the keyword here. Had a lassi with almond in it and there was a lot more almond than I could have expected and actually it was very nice. Vegetable burger not so interesting but ok. Menu is like a phone book, massive, so lots of choices. Large sized meals and a large variety of dishes, including fresh juices. Healthy meals with vegetarian options. Attentive staff. Highly recommended. Note - Not good for large groups.